About Stuart Ball Windows In 2010, I started the business, posting 10,000 leaflets myself. The efforts I made then are just as important to me today.The team is committed to giving you the window cleaning service you require and if at any point you are not happy with it just give us a call and we will be back to see you the very next day. Stuart Ball Windows is based in Norfolk and serves the towns of Diss, East Harling, Thetford, Watton and Attleborough, as well as all the villages in between and the surrounding areas. About Stuart Ball Windows In 2010, I started the business, posting 10,000 leaflets myself. The efforts I made then are just as important to me today. The team is committed to giving you the window cleaning service you require and if at any point you are not happy with it just give us a call and we will be back to see you the very next day. 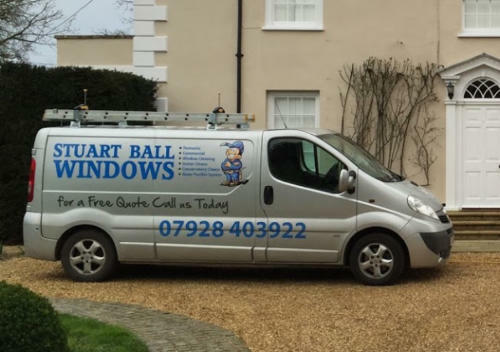 Stuart Ball Windows is based in Norfolk and serves the towns of Diss, East Harling, Thetford, Watton and Attleborough, as well as all the villages in between and the surrounding areas.